To say that the Season 6 finale of The Walking Dead ended on a cliffhanger is like saying that Hitler was “a little bit racist.” It doesn’t even skim the surface of the matter! Like the millions of fans around the world, I was speechless. How could this be? There’s not 5 more minutes somewhere?! IS THIS REAL LIFE?! I know what you’re all thinking, because I was thinking it too: Who’s it going to be? I’m sitting here waiting for this trailer and as I watch it, I have about a MILLION questions and feelings. 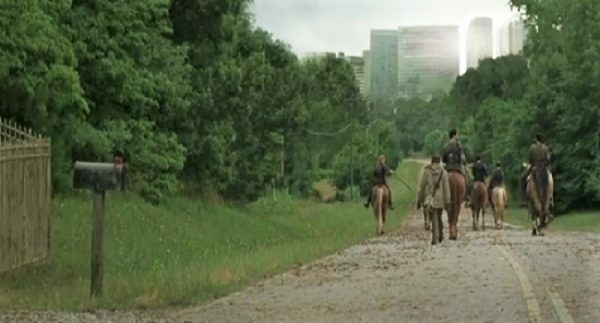 It starts with the last, most iconic scene of season 6 and oh, my heart! Glenn, Carl, Darrel, Maggie, Sasha, Michonne, Abraham, Rosita, Eugene, Aaron, Rick. And it stops on Rick. I don’t know if that’s a coincidence or not. We see a snippet of Negan after that, and my heart stops. 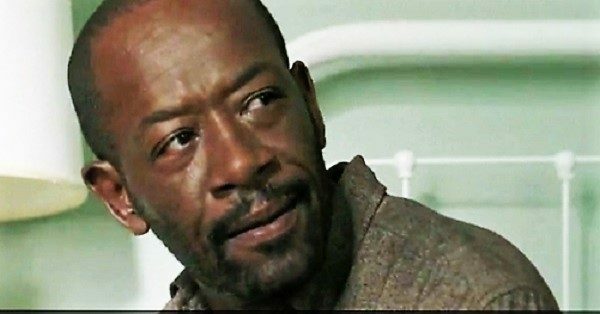 Then we hear what I’m pretty sure is Morgan’s voice saying “I won’t let you die out there.” Then all hell breaks loose and there are more unfamiliar faces than not. I’m not digging that. How familiar is this though? I can’t tell you who “I Spy” but I can tell you it gave me all the feels from back in Season 1. Negan’s voice telling someone, “There are rules. You earn what you take.” He runs it in a dictator-ish way. I mean, who the hell bows? Like, how much more, right? ‘All of it’ is the answer. Their world is about to get about a thousand times bigger. Spencer says they should have made a deal when they could, but let’s be honest – they only make deals they know they can win. They don’t shack up with just anyone, and that’s why we love our group, right? Then we see Jesus being a badass for a moment. Alexandria is being overrun and things aren’t looking so good. Things are going ridiculously fast. We see Carol for a split second, looking like she’s lost her damn mind. But I never doubt Carol. She’s got a plan and she will act as helpless as it takes to convince people she is no threat. But we know better. 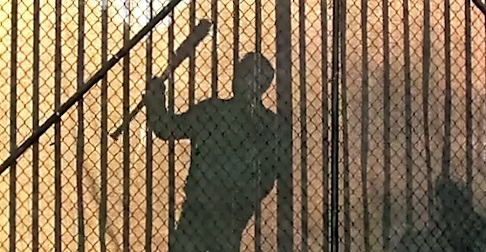 Negan knocks on who-even-knows door, though I’m betting it’s the King. Who the hell is King Ezekiel? He has a damn tiger, so that’s interesting. And may I point out that Negan is singing “Eeny, meeny, miney, mo. Catch a tiger by the toe…” Coincidence? I doubt it. When you’re as powerful as Negan seems to be, people with tigers and full-on kingdoms don’t fly under your radar. They are the only thing on your radar. Enid literally pops into screen for 1.25 seconds, so clearly she’s made it. At least for now because that girl acts like she’s got zero preservation skills sometimes. Then Ezekiel with his tiger. Where the hell did he even get that thing? A full grown Tiger. Just casually sitting on his thrown like, “Have you seen my Tiger?” And it seems to be OK with him? I don’t even know. Then we see some familiar faces. Even though Tara’s laying in a ditch, she’s made it and she looks like she’s about to get all stabby. Fast-forward to shots of some sandy walkers and what looks like a military base. Big tanks, trucks, tents. That’s my best guess. And we end with what looks like Tara deciding how to take out something. Human? Walker? TIGER? It’s all of it and none of it at the same time. Where are our people? Who made it and who didn’t? How is there not one damn shot of any of the eleven that were at the mercy of Lucille and Negan?! October cannot come fast enough.